The key to unlocking a perfect identity that will stand the test of time lies in knowing yourself to begin with, keeping true to what you stand for, and, showing who you are. Everything else falls into place. 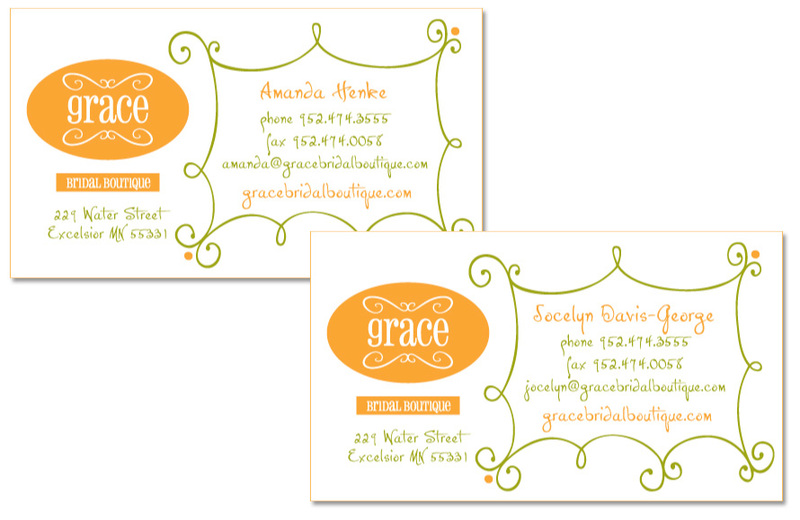 As the foundational element of any brand, an unforgettable identity is one tool you can’t afford to be seen without. The following examples show our clients are well equipped. 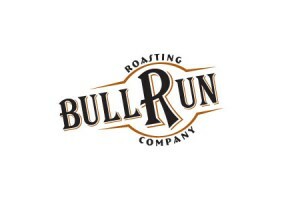 Bull Run is a personable, hands-on, coffee service provider, genuinely invested in client success. The alternative (competitors)? Giant, impersonal, coffee conglomerates, who are not! After helping Bull Run realize “freeing customers from the shackles of these giant conglomerates” is the business they really are in. We started them off “guns a blazing”, by bringing their differentiating positioning, and, brand to life, through creating this name and logo. 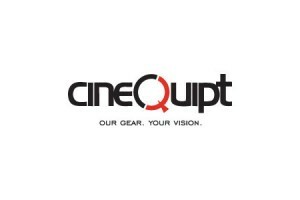 Cinequipt is a generational family business, renting and selling professional grade video production equipment, as well as offering production space, to conduct shoots. Upon helping them discover what they really provide is not a bunch of gear. But, in fact, the conduit enabling client success. They saw the light! The logo and positioning line we created provides the picture perfect opening scene. 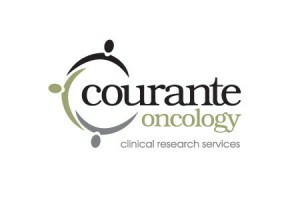 Courante is a clinical research oncology company who had their original name taken over by a large pharmaceutical company. Given the fact we helped them learn they were really in the reinvention and rejuvenation business, and, not the business they thought they were in before. The name and logo we created literally became the foundation of a new beginning. 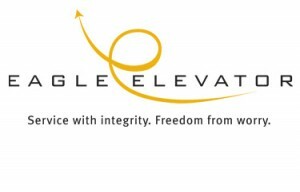 Eagle Elevator is a family business, in the business of repairing, servicing, and maintaining commercial elevators. Literally. Of course, once we helped them understand what they really did was provide “peace-of-mind”, enabling clients to focus their own business, there was nowhere to go but up! 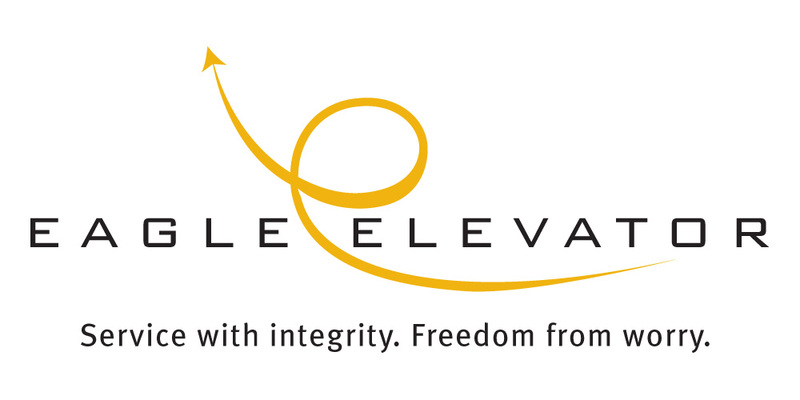 As witnessed by this logo and positioning line we created as their brand foundation. Upon completing the core (see previous example), we launched into an effort to help Eagle tell the world. Building owners at least! 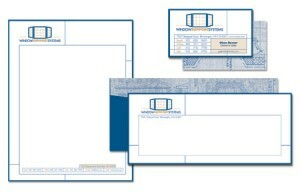 As they are big believers in personal connection, the human touch, and, communicate a ton in print (“Intro” letters, invoices, cards, and, “Thank You” notes), we created and provided them with this branded stationery system that was a hit on every level. Upon deciding to start a business, and, having settled on a fitting name (one partners Grandmother), Grace had nothing to show for it. Whether handed out at a Bridal Fair (their primary relationship initiation point), or, taken away from the store (tastefully done, counter top display) this positioning, logo, and business card tandem we created starts every new begging down the right path. 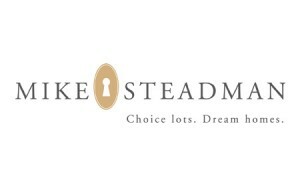 Mike is a high-end real estate agent, specializing in extraordinary properties, and, exceptional homes. Not to mention a “world-class” person. This brand positioning, and, logo we created became immediate keys to his success. And continue opening doors to this day! 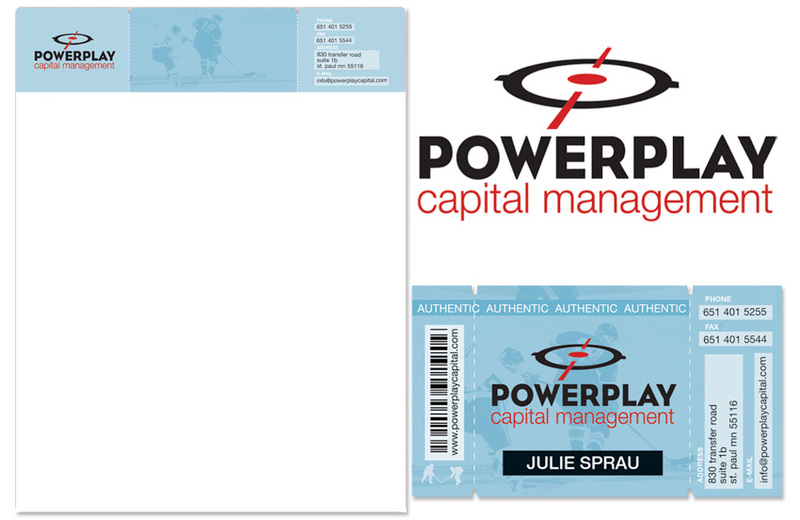 Powerplay is a select group of investors whose team includes some well-known ex-professional hockey players. Accordingly, getting in doors is easy. The memories they left behind, however, a completely different story. This brand positioning, logo, and, stationery system we created and assisted them with achieved all their goals and more. 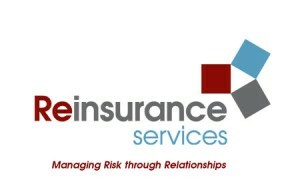 Reinsurance Services is an independent, privately owned, reinsurance expert, priding themselves on their personable, professional nature, and, technology application differentiators. This logo and positioning line we created cements their reputation, and insures they’ll always be on the the leading edge. Stewart Crosby is a sole-proprietor, specializing in the incorporation of landscaping elements native to the surrounding area. His exceptional vision, unique background, and, professional expertise enable him to keep clients feeling good and looking great. 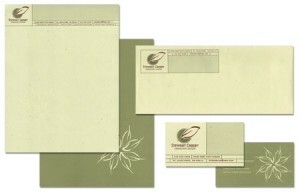 Our brand vision, and, the initial communication stemming from our line of thought, help him plant the seeds of success. Window Support Systems came to us as a small group of partners, working out of a warehouse, with an amazing offering, but, nothing to show. 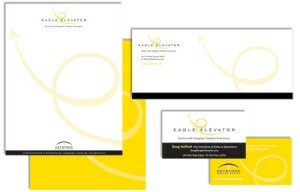 Our brand vision, founded on the communication elements you see here, clearly differentiate them, and, set them apart.